The Stockbridge is the least expensive shaker door offered by Conestoga (CWS). 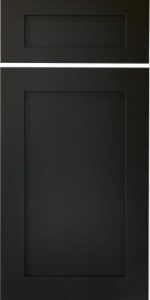 Using a standard 1/4″ thick center panel, this door delivers on design aesthetics, while minimizing project costs. In order to optimize this fantastic door offering for painted finishes, CWS made the Stockbridge (MDF).